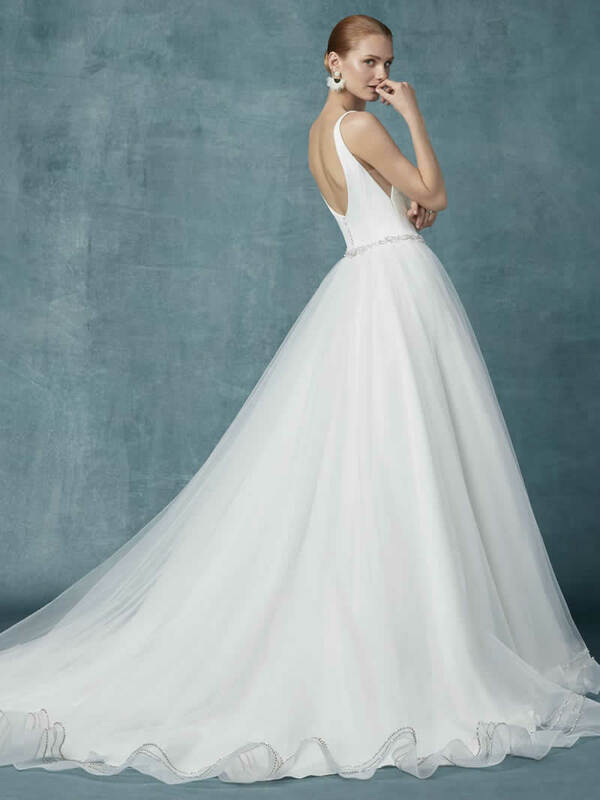 This simple wedding dress features an Aldora crepe bodice and tulle ballgown skirt trimmed with horsehair and Swarovski crystals. 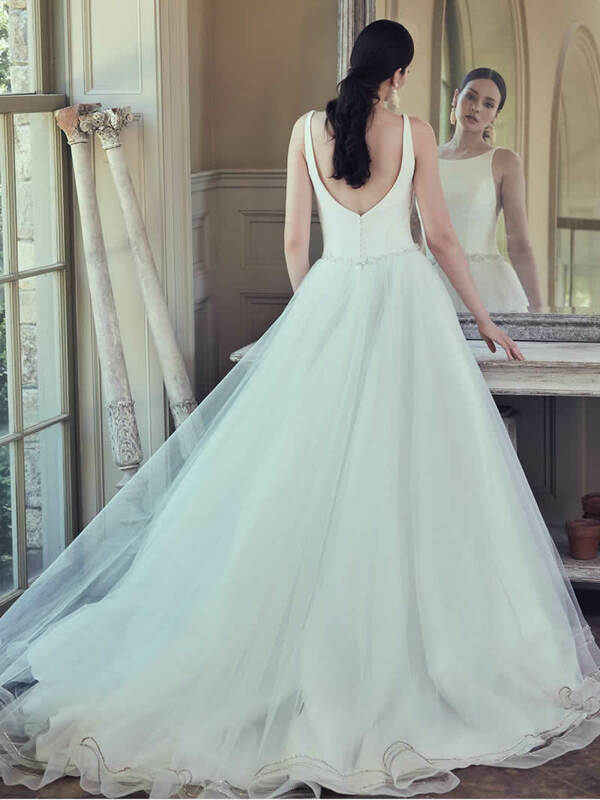 Chic straps complete the bateau neckline and scoop back. Finished with crystal buttons over zipper closure. Beaded belt sold separately.